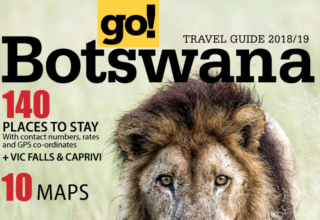 Roxanne Reid is an award-winning travel author, blogger and photojournalist who writes about her travels through much of Southern and Eastern Africa. 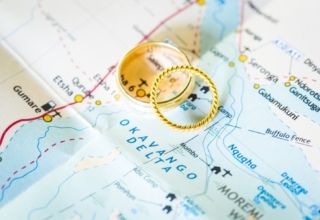 This month, she put together a helpful list of destinations in Africa she thinks make for a great Safari Honeymoon in Africa: Romantic Breaks for Nature Lovers. 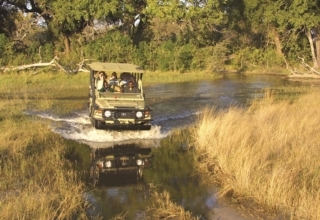 Included are the Masai Mara, Ngorongoro Crater, Zanzibar, Sossusvlei, Victoria Falls, Kruger National Park, and, of course, the great and much loved Okavango Delta. 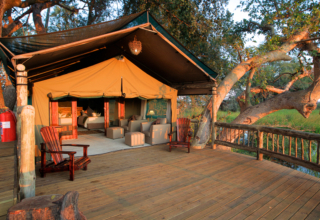 A bit lower in price (though it still helps if you’re paying in dollars or Euros in this high-value, low-impact destination) is Gunn’s Camp overlooking Chief’s Island. 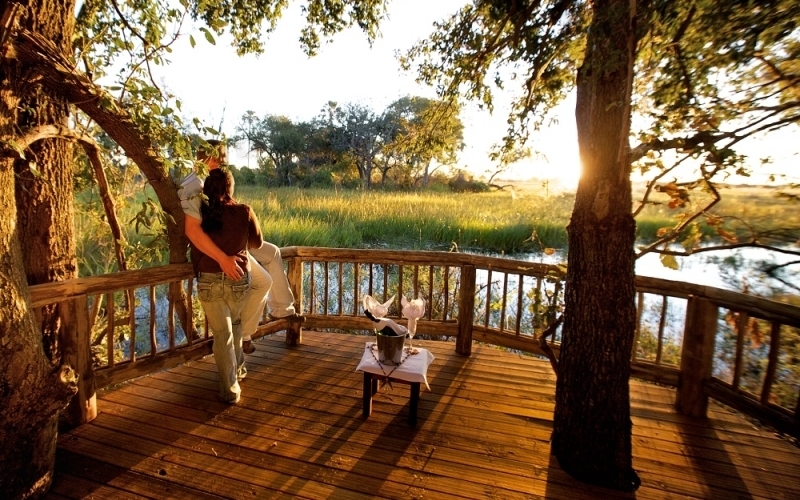 Take a dip in the pool, watch one of Botswana’s arresting sunsets, enjoy a private dinner on your balcony overlooking the Delta’s pristine waterways, step into the freestanding bath or take a romantic shower in the great outdoors. 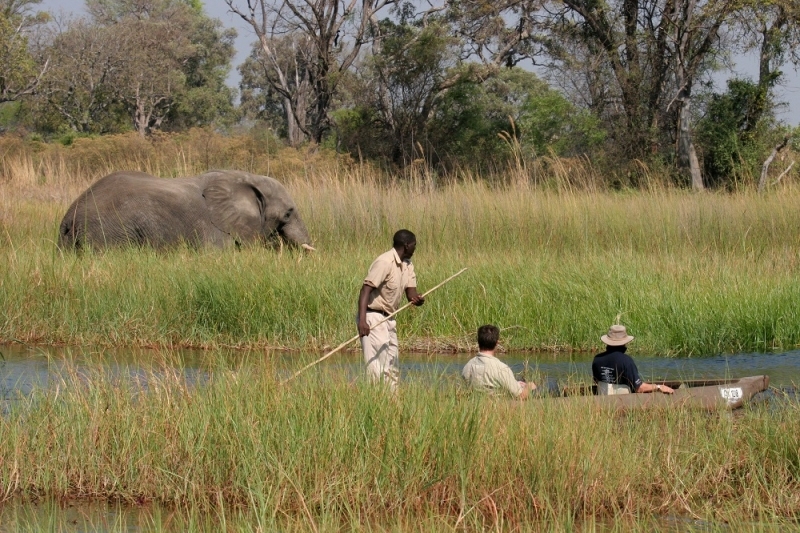 Things to do in the Okavango Delta include game drives, bush walks and lounging by the pool. 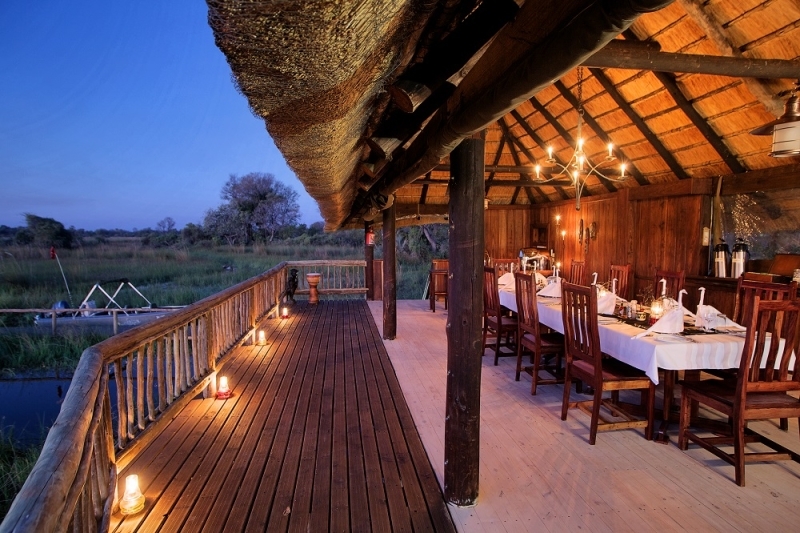 Some camps will organise a romantic bush breakfast or Out-of-Africa lunch on an island. 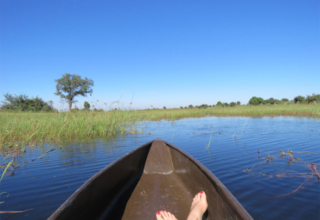 Two of the most magnificent activities here are to see the Delta from air as you fly in to camp and to drift silently along the waterways in a mokoro (traditional dugout canoe) to get close to water lilies and small creatures like birds and frogs, maybe even watch some elephants. 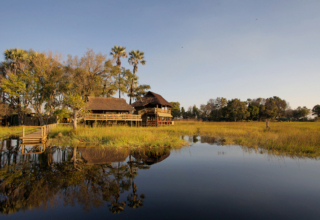 Contact us to plan, book and experience your dreamy safari honeymoon in the Okavango Delta, Moremi Game Reserve or Chobe National Park.